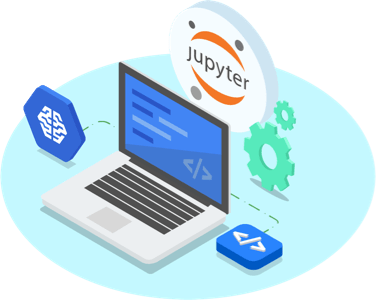 AI Platform Notebooks is a managed service that offers an integrated JupyterLab environment in which machine learning developers and data scientists can create instances running JupyterLab that come pre-installed with the latest data science and machine learning frameworks in a single click. 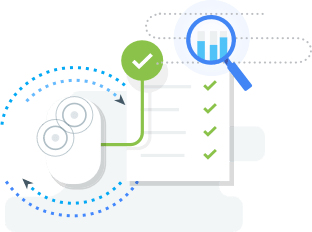 Notebooks is integrated with BigQuery, Cloud Dataproc, and Cloud Dataflow, making it easy to go from data ingestion to preprocessing and exploration, and eventually model training and deployment. You can deploy new JupyterLab instances with one click and start analyzing your data immediately. Each instance comes pre-configured with optimized versions of the most popular data science and machine learning libraries; no worrying about creating and managing VMs. There’s no learning curve — Notebooks uses the industry-standard JupyterLab interface and comes pre-installed with optimized versions of popular libraries like TensorFlow, PyTorch, scikit-learn, pandas, NumPy, SciPy, and Matplotlib. You can start small and scale up by adding CPUs, RAM, and GPUs. When your data gets too big for one machine, seamlessly switch to distributed services like BigQuery, Cloud Dataproc, Cloud Dataflow, and AI Platform Training and Prediction. You’ll go from data to a deployed machine learning model without leaving Notebooks. 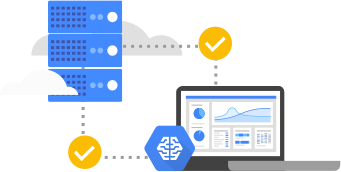 Pull data from BigQuery, use Cloud Dataproc to transform it, and leverage AI Platform services or Kubeflow for distributed training and online prediction. Notebooks is built on the industry standard JupyterLab. So you can use it with the rest of the Python data science community and customize your environment by installing JupyterLab plugins. Notebooks is tightly integrated with AI Hub, a rich catalog of plug-and-play AI components. You can discover and run readily deployable and interactive notebooks by AI researchers and customer engineers at Google and our partners, and foster collaboration by sharing your own notebooks within your GCP organization to help others build on your work. We provide a pre-configured environment that supports the most popular data science libraries, including pandas, NumPy, SciPy, scikit-learn, and Matplotlib, and ML frameworks like TensorFlow, Keras, XGBoost, and PyTorch. Notebooks’ optimized versions of TensorFlow and PyTorch enable you to get the most out of GCP hardware and seamlessly add and remove GPUs from your instance. Notebooks comes pre-installed with GCP client libraries that make it easy to analyze your data and build, train, and deploy ML models. It’s easy to pull and push notebooks from your Git repository, making it also easy to share your notebooks with colleagues. There are no minimum fees or up-front commitments. There’s no charge for using Notebooks. You pay only for the cloud resources you use with the Notebooks instance: AI Platform Training, AI Platform Predictions, Compute Engine, BigQuery, and Cloud Storage. Our pricing calculator can help you estimate the costs of running your workloads.